PATERSON, New Jersey -- A hip-hop promoter was charged Monday with pistol whipping someone during an altercation that included a shooting involving hip-hop star Fetty Wap in his New Jersey hometown that left three people wounded, authorities said. The shooting happened outside a 24-hour deli in Paterson at about 5 a.m. Sunday. The name of the victim was not released, but police said Fetty Wap was not injured in the shooting. Authorities charged Raheem Thomas with assault and weapons offenses after investigators said he struck a victim in the head and face with a gun he was not legally allowed to carry. He was not charged in the shooting itself. The Paterson resident is CEO and owner of Muscle Team Entertainment, a company that promotes hip-hop. It was unclear whether Thomas had an attorney to comment on his behalf. An email sent to an account believed to be his wasn't immediately returned. In January, he posted a rap song and video on YouTube that was disrespectful of Fetty Wap. There was no word what led to the altercation. 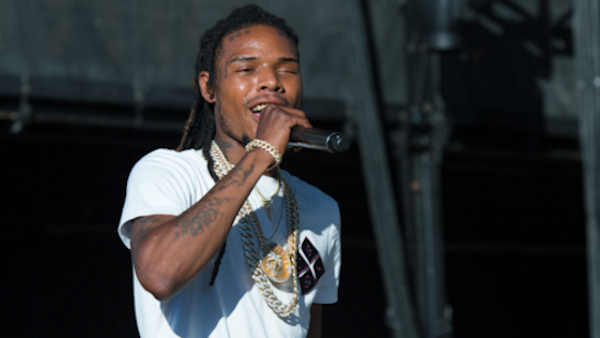 Fetty Wap, whose real name is Willie Maxwell, and several friends, became involved in a heated altercation with another group, police said. Thomas had posted on Instagram, "Just to set the record straight, I personally didn't take fettywap chain." Three victims were taken to a hospital, but their conditions weren't immediately released. The investigation is ongoing.